The Honors College is inviting applications for the Philip and Euline Seecharan Scholarship. 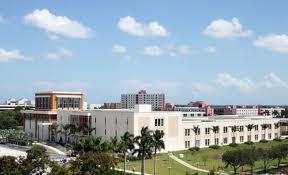 The scholarship will be in the amount of $500.00 for the 2012-2013 academic year and may be renewed each year provided that the recipient remains a full-time Honors College students in good standing, makes satisfactory progress towards a bachelor’s degree, maintains a 3.3 cumulative GPA at FIU, and that funds are available in the Fund. Write a two-page essay stating your academic and professional goals, including your intended field of study, and explain why you believe you should be selected as the recipient of the scholarship. Include a copy of your resume and a copy of your most recent transcripts. Demikianlah informasi mengenai The Philip and Euline Seecharan Scholarship, Florida International University, USA semoga berguna bagi anda.